If you’re serious about bass fishing then you already know that the Highland Lakes in Central Texas offer some of the best fishing in the entire state. This world-class fishery boasts fast action for largemouth bass, native Guadalupe bass, stripers and hybrid stripers throughout the year. In the spring, hard-fighting white bass and crappie offer even more opportunities for avid anglers who appreciate good fishing. Lee Benton is a professional Texas fishing guide and tournament angler with more than 20 years of local bass fishing & guiding experience. 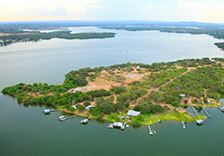 If you’re ready to experience the best fishing Central Texas has to offer, join him for a day on the water. We are happy to customize a fishing charter for you or your group on Lake Travis, Lake LBJ, Lake Austin, Lake Buchanan or several other lakes by request. 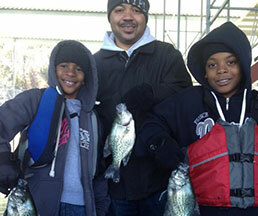 Fishing is all about tradition, so we proudly cater to families eager to share the joys of the sport. 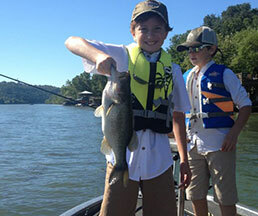 If your kids are novice anglers, we have all of the gear and equipment they need for a proper introduction to bass fishing. 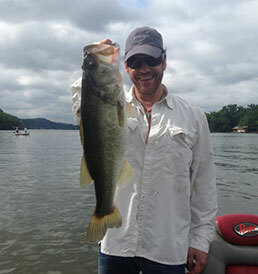 We can also customize bass fishing trips for couples, business associates, or a group of buddies looking to reconnect. You are welcome to bring your own gear, but we supply everything you need including all rods, reels, and tackle. Enjoy the spacious comfort of our modern 20″ Ranger Z bass boat, fully equipped with all of the latest electronics needed to find fish when they’re being stubborn. You can book a half or full-day charter, and if you have any special requests we are more than happy to accommodate your needs. 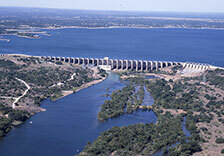 The Highland Lakes have a well-earned reputation for incredible Texas bass fishing. We primarily target largemouth bass, which are plentiful throughout many of the lakes and sometimes grow into true lunkers. 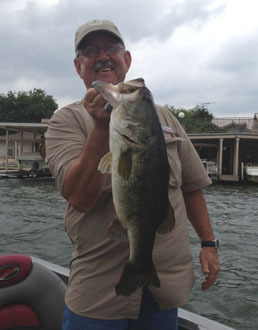 One client caught a 14.28 pounds largemouth that was donated to the Texas ShareLunker Program (#515). 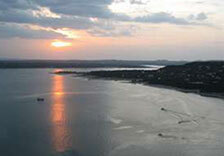 Lake Travis also holds large numbers of Guadalupe bass, which are native Colorado River fish exclusive to the region. These fish are hard-fighters and wily, often using the water to their advantage when engaged in a fight. 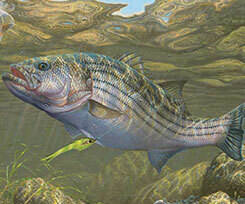 The Guadalupe bass is the official state fish and only found in Texas. 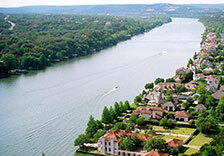 The Highland Lakes are a year-round fishery, which means you can plan a guided trip whenever you get fishing fever. 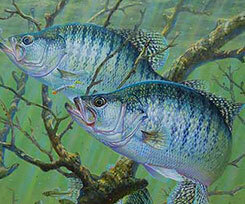 During the spring months we can also target crappie and white bass on certain lakes, so let us know what you’re looking for ahead of time and we will customize your guided fishing trip accordingly. 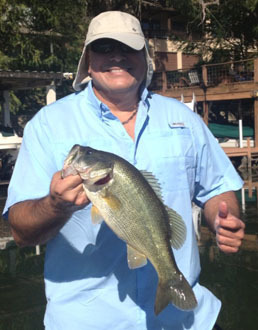 There are plenty of fish in the Highland Lakes, and Capt. Benton knows where to find them at any time of the year. Lee Benton has been a professional tournament angler since 15 years of age, and has been guiding professionally on local lakes for over a decade. If you understand the value of local knowledge, give us a call and book your half or full-day trip today. 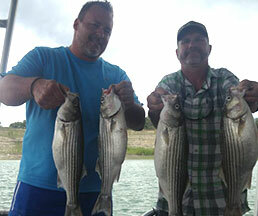 Whether you’re a first-timer or a serious angler, we will make your fishing trip a memorable one! Find out more about our pricing and contact info or browse our photo gallery.